Sundays can be quite divine. Mine started with some quiet time with the big G and a lovely small group meeting discussing dreams and how ours tend to be just a tad too small. Check out the "When Dreamers Dream" free podcast from Church of the Highlands for some lofty inspiration. ...an increase in caloric intake. 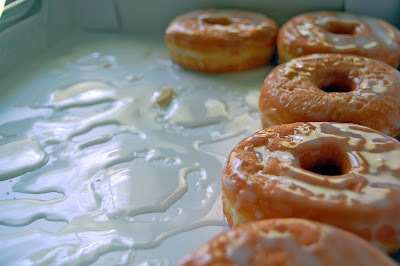 Is it even possible to study the Word without simple sugars? 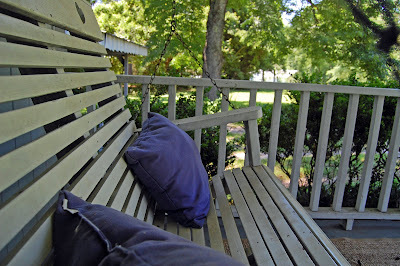 Today has been the kind of afternoon that invites novels, naps and not much else. And the view from that pew? Being a landowner is one of the American dreams, especially when it births hydrangeas like these. I must absorb them now since senior ladies will start "dropping by" in their Lincolns and Buicks with clippers in the glove compartment. 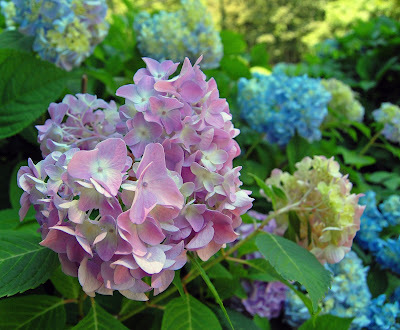 The Lord has blessed you with beautiful hydrangeas! I can't think of a better time to spend with Him than to be present with nature. Thanks for sharing! LPM: I completely agree with you that those lovelies are blessings from the big G!